For those of us who live and work in Columbia, it’s easy to take all the amazing things the city has to offer for granted. 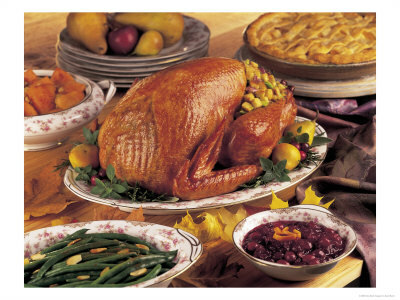 In the spirit of Thanksgiving, we’re taking some time to remember all we have to be thankful for because we live here. -The vibrant atmosphere that comes from having over 25,000 college students in our city every year. And the calm quiet that emerges when they’re gone for breaks. -Stages that have been graced by artists ranging from Johnny Cash to Tony Bennett. -Over 60 parks to play in, run through, explore or seek a peaceful moment. –Festivals where you can make new friends or disappear into a sea of strangers. -An independent film house that also serves beer. -The ability to take our taste buds on a world tour just by choosing where to have breakfast, lunch and dinner. –Shops where you can find a gift that comes from the heart. -You! The visitors who come to Columbia and then share their experiences with others. It allows the story of Columbia to keep going and going. For that, we say thank you. The Candy Factory has been a Columbia treasure for over 30 years. If you’ve never been to this charming corner shop, there’s no better season to stop by and immerse yourself. During the holiday season, The Candy Factory has something for everyone on your list. Located at the corner of 8th and Cherry, you can’t miss The Candy Factory welcoming you in to explore. During the holidays, beautifully decorated Christmas trees adorn the entryway and table after table is piled high with every imaginable type of treat. Fill your basket with stocking stuffers like Katys, which begin with a bed of fresh pecans, almonds or cashews drenched with a layer of the Candy Factory’s mouth-watering secret recipe caramel, and finally topped by a pool of pure milk, dark or white chocolate. The Candy Factory also offers an array of chocolate covered goodies ranging from peanuts to cookies to potato chips. For true chocolate lovers, gift them with the Ultimate Chocolate Pizza. Rich, pure chocolate with fresh cashews, almonds, pecans, Brazil nuts, walnuts, raisins, and marshmallows creates an extraordinary deep dish. It’s then topped it with even more fresh whole nuts and cherries and drizzled with a white chocolate finale. For those fancy folks in your life, The Candy Factory now offers artisan chocolates, which combine delicious chocolate with beautiful art. You can also please those old-fashioned candy lovers with everything from jelly beans to candy buttons. The Candy Factory also has other gift items including stuffed toys, wine stoppers, ornaments and more to add a little something special to your holiday. While you’re there, be sure to ask if you can go upstairs and view The Candy Factory kitchen. The adorably decorated hallway gives visitors a peek into how the candy is made, making it a must see for all ages. This holiday season, experience a little magic (and a big sugar high) with a visit to The Candy Factory. We’re sure you won’t want your first visit to be your last! Get in the Spirit with the University Concert Series! Each year, the University Concert Series brings the holiday spirit to Columbia and this year is no exception. Get your tickets now for these holiday favorites to continue a family tradition or even start a new one. Moscow Ballet’s Great Russian Nutcracker: November 27th at 7:00 p.m.
Tchaikovsky’s classic score for this Christmas story opens with a “Miniature Overture.” The music sets the fanciful holiday mood by using upper registers of the orchestra exclusively as the curtain opens to reveal the iconic Moscow Skyline and guests arriving for a Christmas Eve Party. The tale embarks with an elegant Nutcracker performance to a Grand Pas de Deux. The midnight Christmas festivity then concludes with the luxurious Farewell Waltz of the Flowers. Chris Isaak Holiday Show: November 30th at 7:00 p.m.
An American rock icon and occasional actor comes to Columbia with hits like Baby Did a Bad, Bad Thing, Wicked Game, Somebody’s Crying, Can’t Do A Thing To Stop Me and Let Me Down Easy. Enjoy holiday favorites such as Rudolph the Red Nosed Reindeer, Have Yourself a Merry Little Christmas, Santa Claus is Coming to Town and Let it Snow. A Christmas Carol: December 10th at 7:00 p.m. The Nebraska Theatre Caravan brings this holiday classic back to the Jesse stage. A Christmas Carol is a rich and thrilling experience with a production of ensemble music that all ages will enjoy. Viewers will cherish this luxurious annual holiday classic featuring live musicians and Broadway-style scenery and costumes. Mannheim Steamroller: December 12th at 7:00 p.m.
Transposing well-known holiday melodies from major keys to mixolydian mode, adding plenty of percussion and enough reverb to make recorders sound in tune, has made Davis the best-selling Christmas recording artist ever. What’s more, somewhere along the way, the fresh sounds of Fresh Aire became a holiday tradition all on its own. Hear your favorite holiday tunes like Hark the Herald Angels Sing, Little Drummer Boy, Greensleeves, O Holy Night, Deck the Halls, We Three Kings, and God Rest Ye Merry Gentlemen. Each of these spectacular shows is sure to create a memorable evening in Columbia. Which show is a can’t miss for you? Tell us in the comments! Today is election day, so if you’re suffering from decision fatigue, let us help you! 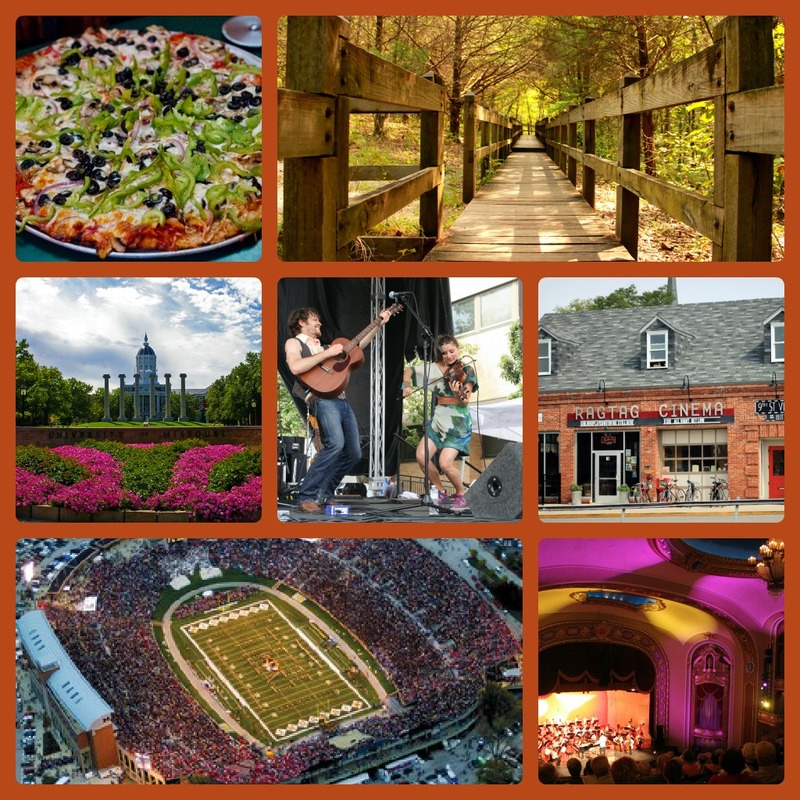 One of the easiest choices you can make is to take your next trip to Columbia, Missouri! Sure, we might be a little biased because we love Columbia…a lot. And we can’t give you one of those cool ‘I voted’ stickers. But take a look at this list of things that make our city special and we’re confident you’ll choose Columbia! Need an afternoon in a lush, green city park? We have over 60. A world-renowned film festival? Check. We have an ice cream shop with a liquor license. Guinness float anyone? History, educations and a botanic garden wrapped into one at the University of Missouri campus. An airport that’s really taking you places. New service to Dallas/Ft. Worth and Chicago (O’Hare) starts in February! A calendar of events that’s always full of musical performances, festivals and more! More than 200 restaurants to tempt your taste buds. That’s a lot of breakfasts, lunches and dinners! You have to admit, that’s a pretty solid platform. Of course, there are countless great reasons to visit Columbia. Check them all out on our website and we’ll see you soon! Some shoppers hunt for a good deal, others for the newest trend. Then there are those who hunt for treasure. Vintage posters, antique furniture and collectibles from childhood all get their hearts racing. If antiques are your thing, then Columbia is home to plenty of great shops to explore during your next visit. With over 60,000 square feet of selling space, the Midway Antique Mall is home to nearly 400 booths full of Antiques Furniture, Art, Americana, Jewelry, Coins, Books & Collectibles. Located off the Midway exit of I-70, visitors can shop seven days a week. Voted “Best Place To Buy Antiques” by Inside Columbia Magazine, over 200 local merchants make The Marketplace their home. Antiques, gifts and home decor occupy the rows of booths in The Marketplace, making it an eclectic and fun place to explore. You can also take a break from your browsing to get a bite to eat at the Marketplace Cafe. Located just east of Columbia at exit 137, Artichoke Annie’s is open everyday from 8:00 a.m.-8:00 p.m. Whether you’re in the market for furniture, dishes, collectibles or even a carousel horse, Artichoke Annie’s will help you track down the unique find you’re looking for. McAdam’s Ltd. in downtown Columbia has a beautiful collection of estate pieces. One-of-a-kind jewelry pieces, art work, mirrors, crystal, china and more are tastefully displayed throughout the beautiful shop. McAdam’s also features modern gifts, bridal registries and custom jewelry design, offering a luxury experience for any shopper. Now that you have your shopping list, take a day (or two!) to explore all the aisles of Columbia’s antique shopping options. Columbia is fortunate enough to be only 30 minutes away from Missouri’s state capital, Jefferson City. A distinct and historic town on the Missouri River, Jefferson City is an easy drive down Highway 63 and is ideal for a day’s side trip during your Columbia visit. Missouri’s beautiful state capitol building was completed in 1917 and sits on the picturesque Missouri River. The dome, topped by a bronze statue of Ceres, the goddess of vegetation, is the first view of Jefferson City for travelers arriving from every direction. Modeled after the nation’s capitol, the building came in under budget during construction, so the remainder of the funds was spent on art for the facility. The 45-minute guided Capitol tour is the best way to experience the historic and decorative features of the building. It will provide you with an excellent education on the State of Missouri and the structure that represents its home. 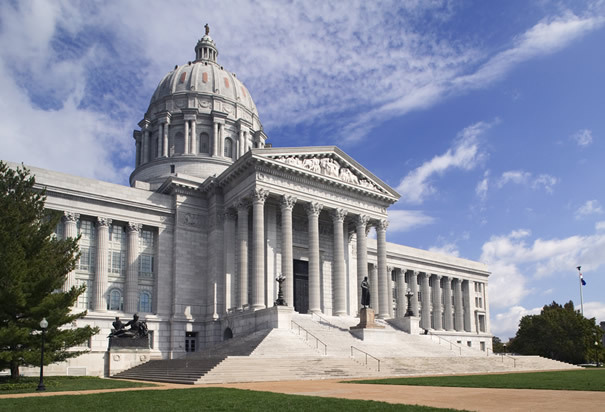 The capitol also features the Missouri State Museum, which is home to incredible art by Thomas Hart Benton depicting the history of Missouri. During general assembly sessions, step into the galleries to watch the Senate and House of Representatives in action. After you soak up the history of the capitol building, take a break for lunch at one of Jefferson City’s restaurants. Get saucy at the famous Lutz’s BBQ, enjoy a casual yet elegant meal at Madison’s Cafe, or get geared up for your next stop at Prison Brews. 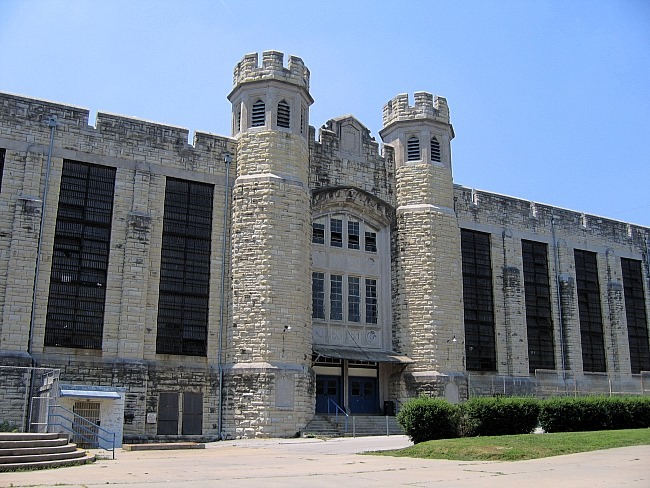 Decommissioned in 2004, the Missouri State Penitentiary is now open to the public for hard hat tours. Before it closed, MSP was the oldest continually operating penitentiary west of the Mississippi. The prison was 100 years old when Alcatraz began taking inmates. The tour showcases cells including those of famous inmates such as heavyweight champion Sonny Liston, who learned to box during his time in the big house, and James Earl Ray. Other stops on the tour are the gas chamber where 40 men and women were executed, the buried cells, several housing units and the upper yard. In 1967 the Missouri State Penitentiary was infamously named the “bloodiest 47 acres in America” by Time magazine because of the incredibly high number of serious assaults on the grounds between 1963-1964. MSP is open for a variety of tours ranging from historical to paranormal. Tours are conducted by former wardens, guards and others who had a role with MSP while it was open. Each tour is a unique experience that makes it one of the most visited attractions in the state. After your tour of the state penitentiary, step back in time at Central Dairy. Open seven days a week, Central Dairy offers up dozens of flavors ranging from traditional chocolate and vanilla to fun flavors like moose tracks and muddy river. If you’re really really hungry, order the banana split! It’s a massive creation that’s enough for two! Central Dairy is a Jefferson City tradition not to be missed.